Southern California finally has its very own Café Habana, and although related, it’s nothing like Nolita’s go-to Cuban spot. During the day, this Malibu social hub is winning over the rich and famous with stellar Cuban-inspired fare. At night, kids pack the spot to check out what the DJs are saying and playing. Every Tuesday, the restaurant turns into a club of sorts, when Sicky Dicky productions teams up with Cisco Adler and Shwayze to play hip-hop and more for very attractive white people. It’s an incredible scene, one that owner Rande Gerber says people are driving up from Los Angeles to attend. “We get a lot of people coming from West Hollywood, Santa Monica, Westlake, and other areas that prefer weekdays so they don’t have to deal with the weekend traffic in Malibu,” he said via email last week. To be sure, Gerber himself isn’t hanging late-night on Tuesdays, but the longtime hotel bar owner is frequently there during the day with his wife, Cindy Crawford. 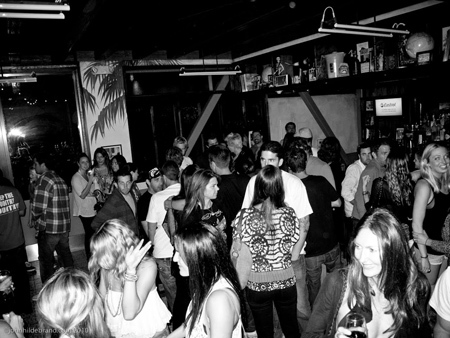 “We are the only place in Malibu that serves all night. Most other places are quiet at 9pm and close soon after,” Gerber added. Accordingly, Malibu’s version of Habana attracts a twenty-something crowd looking for something to do after dark that doesn’t involve a long drive to L.A. Malibu suffers from a serious lack of late night options, and the restaurant that sometimes morphs into a scene is filling a gap in one of America’s best-known, wealthiest communities.